When the weather takes a turn to cooler nights and crisp breezes, many knitters and crocheters are more than ready to start a new project! If you are looking for a new sweater or accessory, there are a number of new patterns from which to choose before casting on the first stitch. Today we are spotlighting several of the newest fall patterns that call for Manos del Uruguay yarns! Cables are a classic on fall sweaters, wouldn't you agree? 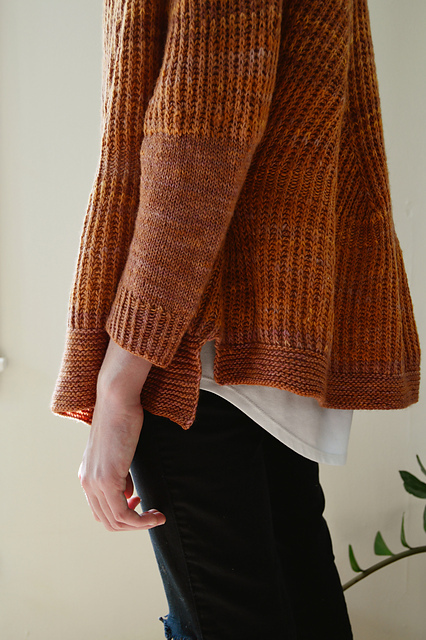 The Passaic Pullover, designed by Anastasia Popova in Interweave Crochet Fall 2016, is crocheted in Manos Serena. The fiber blend and our kettle-dyeing process give the colors a heathered, stonewashed look. Harbor is the colorway shown here. 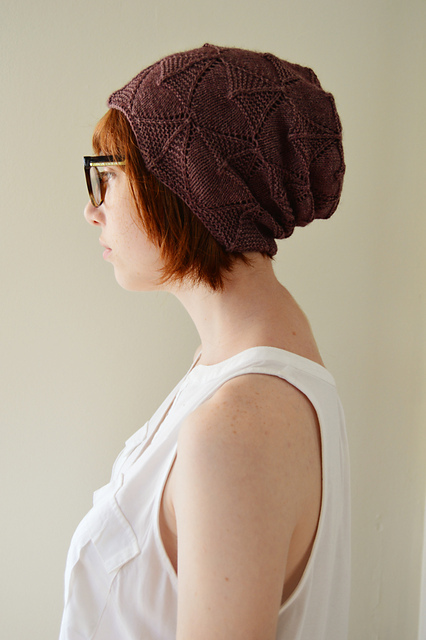 Amy Herzog's new book, You Can Knit That, includes the Whisper Tee in Manos Serena. 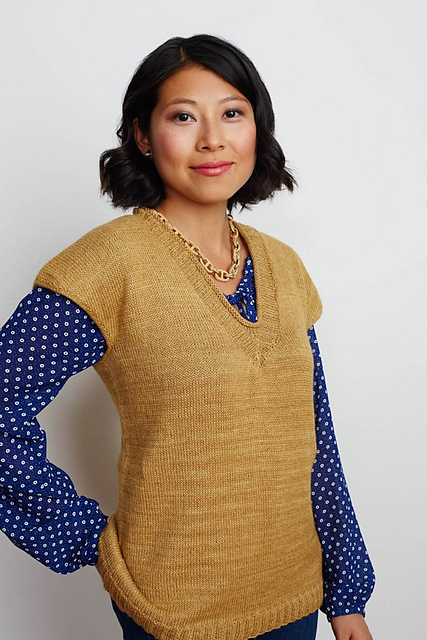 The sweater is knit in two pieces, with integrated cap sleeves, i-cord trim, and waist shaping. Lightweight and soft, this will be a multi-season layering piece! Shown here in the Hare colorway. 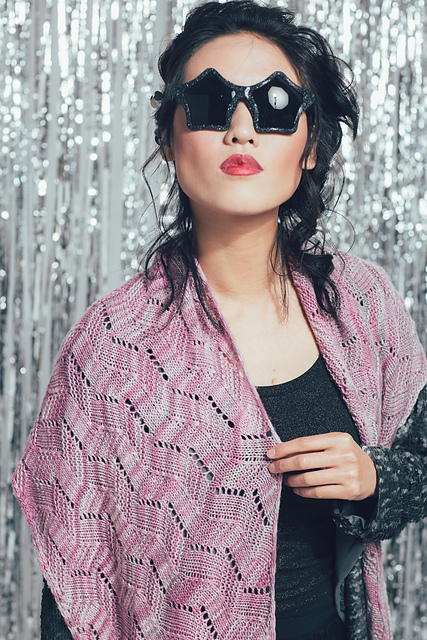 Knitscene's Winter 2016 issue is out and includes the Celebration Shawl designed by Ruth Garcia-Alcantud. The asymmetrical triangle shawl is knit from one tip to the wide side, with a final wingspan of 60" or 88" depending on the size you make. Clara is the called-for yarn, shown here in the Hortensia colorway. Courtney Spainhower's new collection, Line + Reflection, includes two pieces in Manos del Uruguay yarns. The Dalit Cardigan is an oversized layering cardigan in Fino. It is worked flat in a single piece from the top down, featuring brioche increases to shape the yoke. The Indra Toque, knit with one skein of Serena, is a perfect accessory as it is lightweight, yet warm. October is Breast Cancer Awareness month and designer Grace Akhrem is hosting a knit-along (KAL) in her Ravelry group. 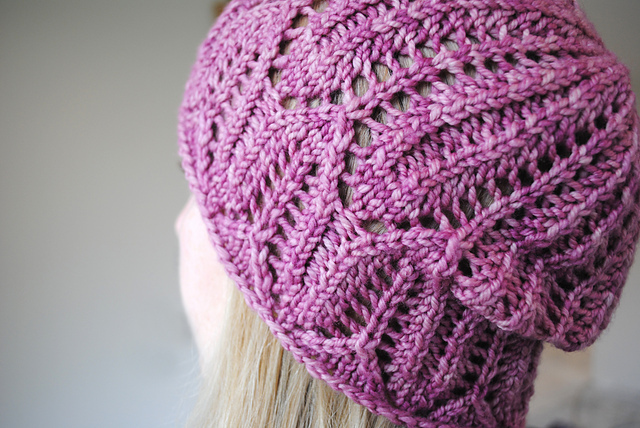 The Pinktastic Pop Slouch pattern is available for purchase on Ravelry, with a portion of the price being donated to the Susan G. Komen Foundation. 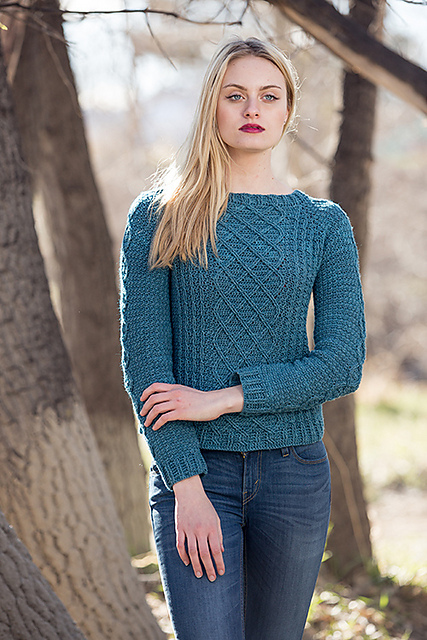 Grace knit the original with one skein of Manos Gloria, in the Estancia colorway. The KAL goes until October 31, 2016. Knitters that cast on this month and share a photo with the group on or before October 31, 2016, will be eligible to win one of three Manos del Uruguay yarn prizes! Which fall patterns are you pairing with Manos Yarns? Connect with us on Facebook, Ravelry, or Instagram!